Agave havardiana, Harvard’s agave. A medium size species 24-36 inches tall and wide that forms a tight symmetrical rosette. Upright leaves are a glaucous blue-gray to gray-green, very thick at the base, 6-8 inches wide and up to 2 feet long. Bud imprints on leaves. Teeth are spaced 1-2 inches apart and sharp, and a sharp terminal spine. The inflorescence is a panicle 6 – 16 feet tall, yellow flowers on 15-22 branches. 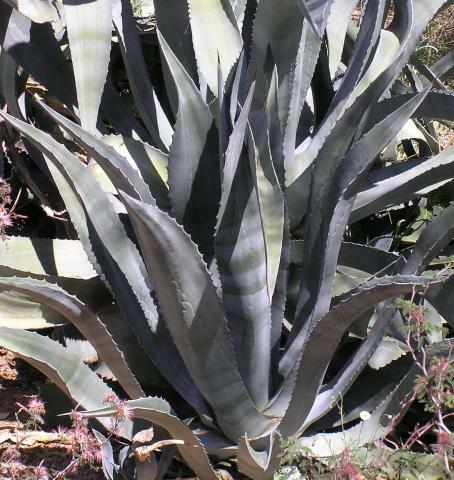 Native to western Texas, southeastern New Mexico south into Mexico in elevations from 4000 – 6500 feet. Few offsets, and typically only when flowering. Cold hardy to -10°. Photo at right. A. lophantha, cultivated varieties “Splendida’ or “Quadricolor”. Medium sized cultivated varieties with an open, spreading appearance growing to 20-40 inches tall and 12-24 inches wide. ‘Splendida’ has dark green leaves with a light greenish-yellow vertical stripe on the topside, and a much wider band on the back side. “Quadricolor” has a fairly wide yellow margin and a light green band down the center (top side of leaf only) of the medium green leaf. Bud imprints. 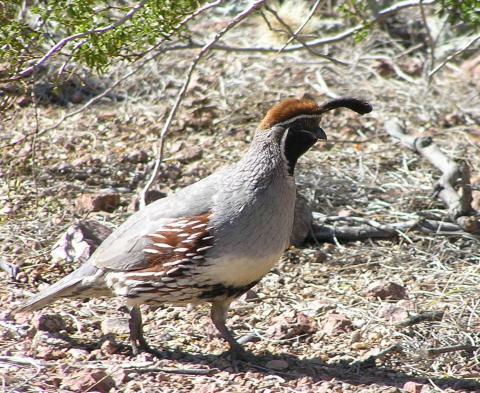 Native species A. lophantha can be found in the Rio Grande Valley of Texas and Mexico and into the Mexican state of Veracruz up to 5000 feet. Also makes a great container plant. These also make splendid container plants. Photo of A. lophantha 'Splendida' at right. A. utahensis var. utahensis. Utah agave. 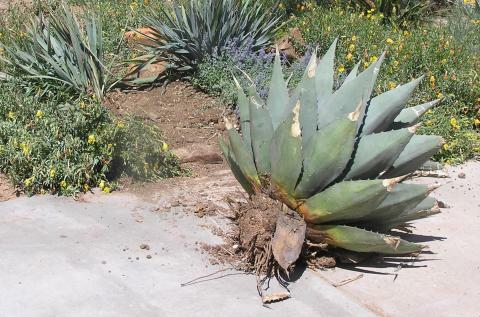 A small clumping agave species growing to 12” tall x 16” wide. Gray green leaves are a half inch to 1 1/4 inch wide and 6-12 inches long ending with a long gray terminal spine ¾- 1 ½ inch long. The inflorescence can be either a spike, raceme or panicle., 5-8 feet tall with light yellow flowers opening in May or June. Grows in northwestern Arizona, Utah, Nevada and California. Cold hardy to 0°.